Our goal is to connect people with the best local experts. We scored personal injury lawyers on more than 25 variables across five categories, and analysed the results to give you a hand-picked list of the best personal injury lawyers in Louisville, KY.
Adams, Hayward, & Welsh, located in Louisville, helps Jefferson County clients seeking legal representation in the field of personal injury law. Wesley P. Adams, Jr., Samuel G. Hayward, and Alfred John Welsh are “AV Preeminent” rated by Martindale-Hubbell, and they are members of the National Association of Personal Injury Lawyers and the Pan-European Organisation of Personal Injury Lawyers. Bahe Cook Cantley & Nefzger PLC is a Louisville practice that represents local plaintiffs in personal injury suits. The firm’s lawyers are members of the Kentucky Bar Association, the American Association for Justice, and the Million-Dollar Advocates Forum, as well as the Kentucky Justice Association. Becker Law Office PLC, which Gary Becker founded in 1985, provides personal injury and disability legal services to clients across the state. Now that Mr. Becker has retired, Kevin Renfro serves as the owner and managing partner. Mr. Renfro, who has an “AV” rating from Martindale-Hubbell, is an alumnus of the University of Louisville School of Law. Additionally, he is a member of the Million Dollar Advocates Forum, who has twice won the Outstanding Board Member designation from the Kentucky Justice Association. Bubalo Goode Sales & Cronen PLC is a personal injury and accident law firm that represents plaintiffs in medical malpractice and product liability cases. Gregory J. Bubalo, the practice’s managing partner, has been Board Certified by the National Board of Trial Advocacy in Civil Trial and Pretrial Advocacy. Mr. Bubalo is a member of the Multi-Million Dollar Advocates Forum. Dettman & Associates is the private practice of personal injury attorney Brian R. Dettman, who has handled thousands of cases statewide, recovering millions of dollars for his clients over the course of his career. He has experience in car, truck, and motorcycle accident cases, as well as wrongful death and product liability suits. Mr. Dettman, who has earned a “9.5 – Superb” rating on Avvo, is a member of the Kentucky Justice Association and the American Association for Justice. Elk & Elk Co., Ltd. is a personal injury law firm that opened in Maryland Heights more than half a century ago. The firm, which is “AV” rated by Martindale-Hubbell, now has offices all over Ohio, and one in Louisville. Elk & Elk Co., Ltd.’s legal team includes members of the American Association for Justice and the Million Dollar Advocates Forum. Franklin Birth Injury is a Louisville law practice that focuses on handling medical malpractice and birth injury cases. Founder and leading attorney Larry Franklin received his Juris Doctor from the University of Louisville School of Law, graduating in the top 10 percent of his class. He is a member of the American Association for Justice and the Inner Circle of Advocates, and also a Fellow of the American College of Trial Lawyers and the International Academy of Trial Lawyers. Gladstein Law Firm, PLLC, based in Louisville since 2011, is the private practice of personal injury attorney Seth Gladstein. 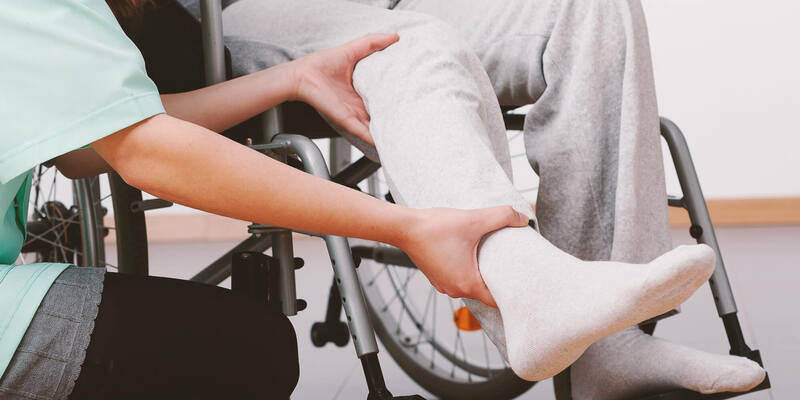 Mr. Gladstein is a seasoned lawyer with extensive experience taking on car accident, slip and fall, birth injury, brain injury, and medical malpractice cases. He has served as a Barrister with the Louis Brandeis Inn of Court, and he serves on the Board of Directors of the Jewish Community of Louisville. At Gray and White Law, Matthew L. White and Mark K. Gray lead a team of qualified attorneys to handle a variety of personal injury suits. Past cases have involved car and truck accidents, brain injuries, wrongful deaths, and medical malpractice. The attorneys have a “10.0 – Superb” rating in Avvo’s “Personal Injury” category and have received recognition in the statewide “Super Lawyers” list. Grossman & Moore PLLC, centered in Louisville, advocates for clients in personal injury cases involving vehicular accidents, medical malpractice, negligence, defective products, and plane crashes, among other incidents. H. Phillip Grossman and Jennifer A. Moore are members of the American Trial Lawyers Association, and each has received recognition in the statewide Super Lawyers list of distinguished attorneys. Located in Louisville, Hargadon, Lenihan & Herrington, PLLC is a law firm that handles personal injury cases. Its legal team includes members of the American Association for Justice, the American Board of Trial Advocates, and the Kentucky Justice Association. They are “AV” rated by Martindale-Hubbell, and have a “Clients’ Choice” award from the website Avvo. Harper Law Co PLLC is a comprehensive law firm with offices in Shelbyville, Kentucky and Louisville, Kentucky. This firm focuses on personal injury law. Additional areas of practice and expertise include felony expungement, diminished value, estate planning, business law, and criminal law. Harper Law Co PLLC offers free consultations. Isaacs & Isaacs, PSC is a Louisville-based law practice with additional offices in Lexington, Indianapolis, and Cincinnati. The legal team at Isaacs & Isaacs, PSC has experience helping victims of car and truck accidents, as well as plaintiffs looking to file wrongful death, negligence, and malpractice suits. Sheldon N. Isaacs, who co-founded the firm with his son Darryl Isaacs, was a pharmacist before he became an attorney at the age of 42. He is a member of the Kentucky Justice Association. His son, Darryl Isaacs, is a member of the Kentucky Academy of Trial Attorneys, the Kentucky Justice Association, and the Association of Trial Lawyers of America. Karl Truman Law Office LLC, centered in Louisville for over 25 years, is a private legal practice representing plaintiffs in car, motorcycle, and tractor-trailer accident cases, as well as malpractice and nursing home negligence suits. Mr. Truman, a former member of the military who ascended to the rank of Lieutenant Colonel, has received certification from the National Board of Trial Advocacy as a Civil Trial Specialist. He is a member of the Indiana Trial Lawyers Association, the Kentucky Justice Association, and the American Association for Justice. Sam Aguiar Injury Lawyers, based in Louisville, represents local plaintiffs in personal injury suits, including car, bicycle, truck, and pedestrian accidents, animal bite suits, slip and fall cases, and tractor trailer accidents. Mr. Aguiar, the firm’s founder and leading attorney, is a member of the Kentucky Justice Association as well as the American Association for Justice and the Million Dollar Advocates Forum. He has received recognition from Super Lawyers, a state-by-state ranking of top-notch attorneys. At the Law Office of Howland and Smith, personal injury attorney Bixler W. Howland helps people who have been injured in industrial, construction or automotive accidents. He has been practicing for over 35 years. Since 2011, Mr. Howland has been working alongside Jared J. Smith, a graduate of the Claude W. Pettit College of Law at Ohio Northern University. The Poppe Law Firm helps Louisville Metro clients bring personal injury lawsuits when they have been injured in automotive accidents and other incidents. Hans G. Poppe, a graduate of the Brandeis School of Law at the University of Louisville, started the firm when he was just 30 years old. He is a member of the Louisville Bar Association, the Kentucky Bar Association, and the American Bar Association. Michael Schafer, the founder and managing attorney of the Schafer Law Office, has been practicing law for more than 30 years. A graduate of the University of Louisville Brandeis School of Law, Mr. Schafer is a member of the Kentucky Association of Trial Attorneys, the Association of Trial Lawyers of America, and the Kentucky Justice Association. Now he leads a team of qualified attorneys in handling car, truck, bicycle, motorcycle, and pedestrian accident cases, as well as wrongful death and malpractice suits. Thomas Law Offices is a Louisville-based legal practice that handles personal injury suits. Tad Thomas, Esq., the firm’s founder and managing attorney, graduated with honors from the law school at Northern Kentucky University. His colleagues are John Abaray, Lindsay Cordes, Lindsy Lopez, and Brad Sears, who are trained, qualified and experienced personal injury lawyers. William F. McMurry & Associates is a Louisville practice helping clients who have been injured in car accidents and other incidents. Mr. McMurray, the firm’s founder and managing partner, has received certification from the American Board of Professional Liability Attorneys as a Medical Malpractice Trial Specialist and a Legal Malpractice Trial Specialist. Additionally, the National Board of Trial Advocacy has certified him as a Civil Trial Specialist.